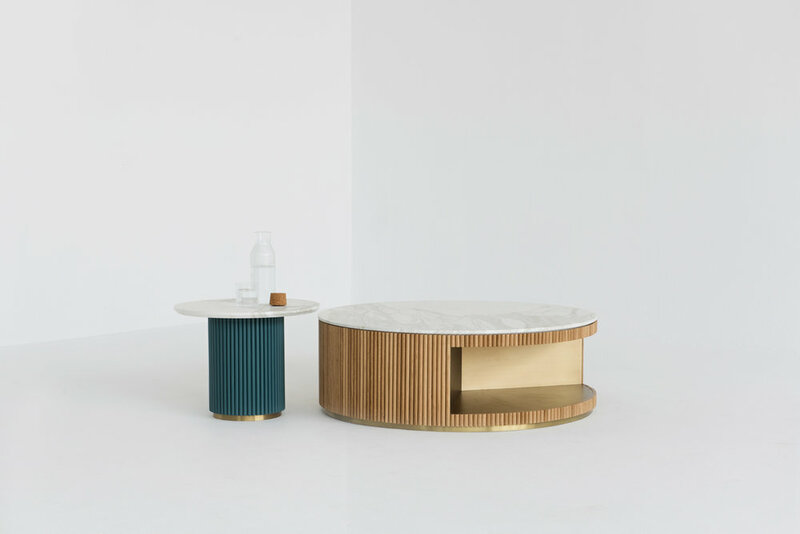 The Infinity Table is a coffee table made of handcarved solid wood slats that are applied piece by piece. 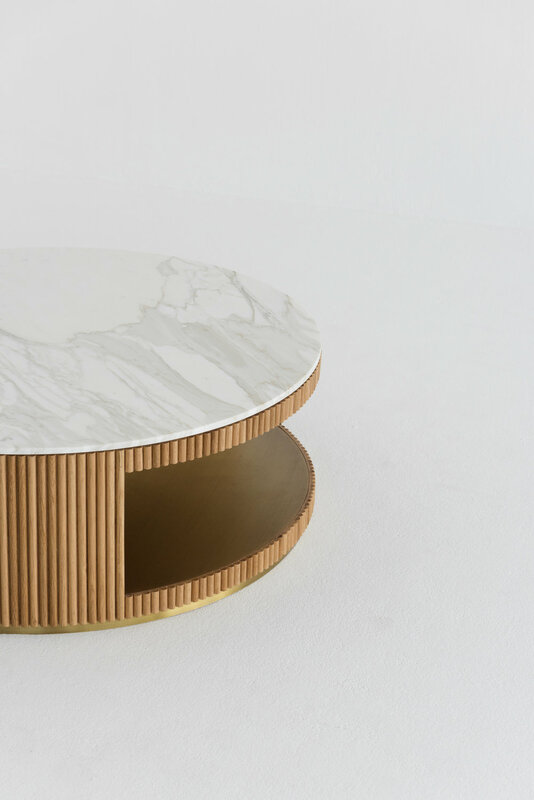 It includes a bottom trim in brass, steel or wood as well as a marble or wood top. It features a storage 'enclave' cladded in brass (wood option available as well), which is nook to showcase decorative objects or books. 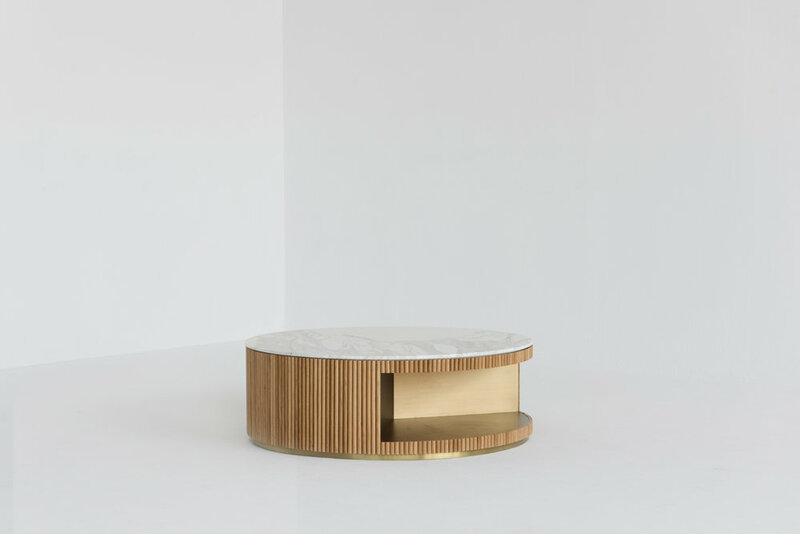 The Infinity coffee table can be placed to conceal or reveal the storage 'enclave' depending on the angle at which is placed and viewed.